Essential oils are fun to experiment with for aromatherapy purposes to help boost your mood, create a feeling in your space, or just make your home or office smell good. Discovering your own favorite aromas to use in your essential oil diffuser is half the fun, but sometimes you need a little inspiration. Even though essential oil diffusers are useful for air-freshening all year long, it’s funny how the shift of seasons can change all the various sensations we crave. You may be obsessed with neons all summer long, and suddenly long for deep jewel tones after your first pumpkin spice latte. That’s the same feeling as when those warm scents we craved during the cold winter months suddenly feel too heavy in the summer. When seasonal changes get you in the mood to shake things up, a new aromatherapy vibe can be just what you need. We’ve compiled the best essential oil diffuser blends to get you in the spirit, ready to chill out, or revved up to conquer your goals all year long. Springtime, in general, feels pretty energizing. It’s nature’s time for renewal and rebirth so it’s only natural to want to boost your motivation and vitality. For some of us, it’s also the time of year when we throw open the windows and clear out all the junk that accumulated over the winter— both physically and mentally. Bright, refreshing and herbal aromas in your essential oil diffuser keep the “out with the old, in with the new” vibe going. Some of favorite springtime essential oils are lavender, rosemary, eucalyptus and anything in the citrus family. Using citrus scents in your essential oil diffuser is immediately uplifting and generally considered “happy scents.” Citrus oils like sweet orange, tangerine, and bergamot are used in aromatherapy to uplift the spirit, create a sense of joy and inspire creativity. All of these are perfect to compliment the rebirth themes of spring. Lavender and eucalyptus oil have also shown potential in actually reducing airborne fungi. 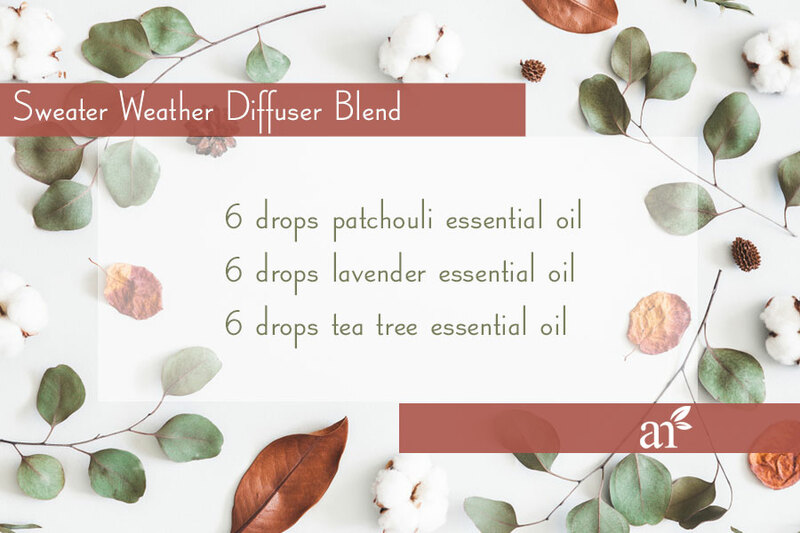 Incorporating these two oils in your springtime essential oil diffuser blends helps literally freshen your air, which feels fantastic after being cooped up inside all winter long. Adding herbal scents to your essential oil diffuser bring in the green freshness of spring. Lemongrass, rosemary and lavender all have herbaceous, woody undertones that bring to mind a spring garden. Ah summertime. Traveling, swimming, relaxing on a beach, enjoying the sunshine outdoors. Summer activities just make you feel good. Most adults would love to have the same carefree, relaxing joyous months of summer vacation we had when we were in school. Instead, most of us are trapped indoors working all day and doing regular adult things. Essential oils can’t get you three months off work, but using the right oils in your essential oil diffuser can help you get back some of those happy summer vibes. 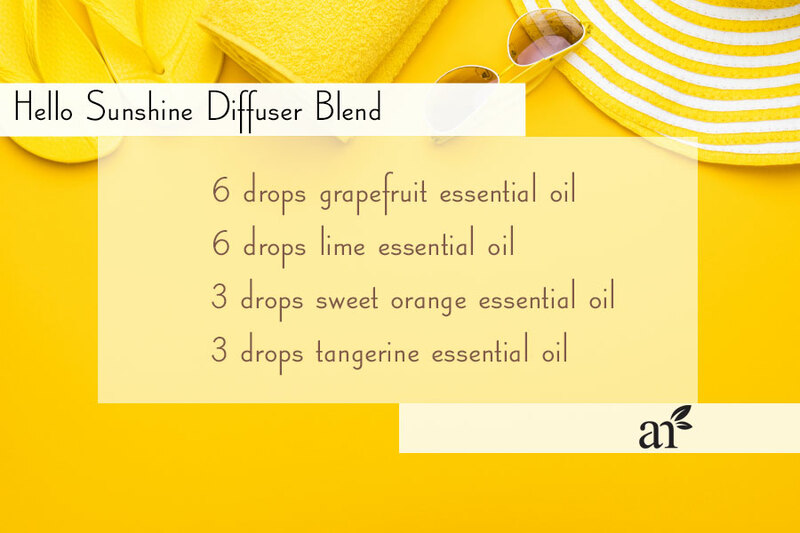 Using citrus aromas in your essential oil diffuser is probably a no-brainer during the summer. They’re bright, happy and remind us of delicious summertime treats like fresh fruit salads, refreshing lemonade and fruity cocktails. When it’s hot outside adding in some of the minty aromas to your essential oil diffuser blend can bring a refreshing coolness. Eucalyptus, peppermint and even pine needle can add that little mint refresher that really perks you up. To capture the relaxing vibe of carefree summer days, lavender essential oil and sweet orange are a quick go-to blend. 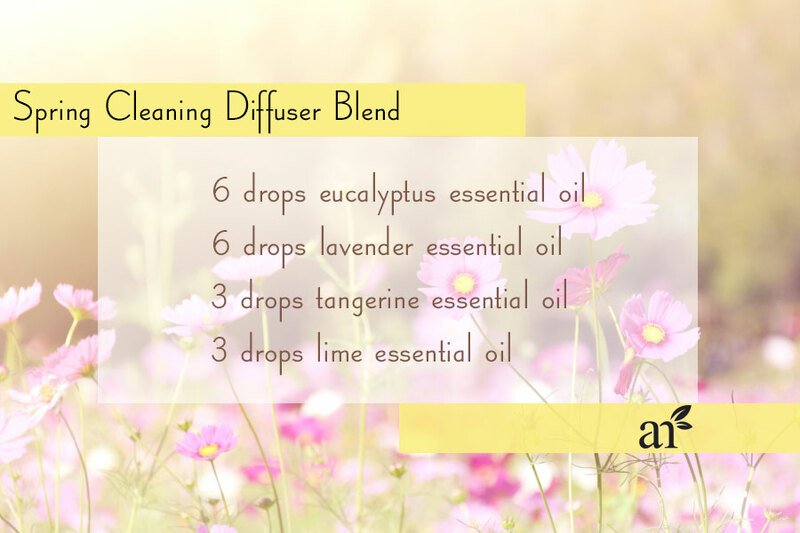 In fact, lavender and sweet orange are two of the best oils to keep on hand for essential oil diffuser blends. They both have several beneficial properties and the mix really well with other scents so you can relax and recharge. When you imagine fall what does it feel like? Ideally it would be crisp cool air, pine needles and leaves crunching under your feet, maybe the clarity and calmness of a walk in the woods. In reality it’s more likely to be back-to-school season and preparations for the holidays. In short, the busiest, most stressful time of the year. Luckily there are essential oil diffuser blends out there that can help you bring the fresh fall feeling indoors. Just the act of practicing aromatherapy itself has been recognized as a relaxing activity that can help lower stress, particularly in high school students. Using your essential oil diffuser while meditating can help you get even more into the right head space for relaxation. As the reigning relaxation queen of calming oils, lavender is always great to use in your essential oil diffuser when you want a peaceful atmosphere for letting go of tension. Patchouli oil is also considered deeply relaxing and useful for meditation before bed. The purifying woody aroma of tea tree has slightly minty notes that mix well with the earthiness of patchouli. Frankincense is a warm woody, slightly spicy aroma also used in aromatherapy to bring emotional balance. It’s often described as warm, comfortable, and inviting. 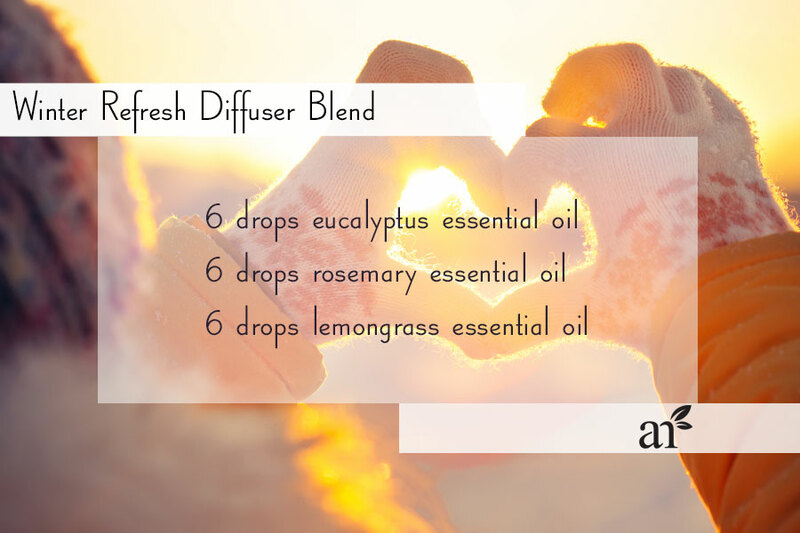 Who wouldn’t want that in a relaxing essential oil diffuser blend? Rosemary is a relaxing herbaceous aroma, while pine needle is fresh woody mint reminiscent of the forest. Both inspire mental clarity in essential oil diffuser blends, which is fantastic for staying organized and on top of things. Although citrus scents might not be the first thing you think of when you think of fall, consider bergamot, sweet orange and lemongrass. Adding a dash of these to your autumnal essential oil diffuser blends brings brightness and energy for an invigorating uplifted quality. Winter can be really rough. It’s cold, it’s dark, and depending on where you live you may be forced indoors for days at a time. If you’ve ever been stuck in close quarters during a snowstorm, you know how stale and stifling the atmosphere can get. Essential oil diffusers can be a real blessing when it comes to freshening stale air. Many people diffuse the air-freshening heavy hitters (like lavender, eucalyptus, and lemongrass) year round to combat kitchen odors, pet odors and other nuisances. Because eucalyptus, lavender and lemongrass actually help clear the air of fungi, incorporating them in your essential oil diffuser blends is an added bonus during cold and flu season. As long as you’re using these kinds of essential oils, pretty much most other oils make great additions winter diffuser blends. In fact, getting creative with different oils in your essential oil diffuser can create all kinds of festive holiday themed scents. Especially peppermint, cinnamon, and rosemary. Making festive essential oil diffuser blends is a great way to create instant holiday atmosphere and also make excellent holiday gifts! Are You Ready to Start Making Your Own Essential Oil Diffuser Blends? Of course you are! Sometimes essential oils and aromatherapy can seem intimidating, but just remember it should be fun and beneficial. After all, aromatherapy is supposed to be a relaxing activity you can enjoy not a stressful pop quiz. Trying new essential oil diffuser blends is a great way to discover how you respond to different aroma combinations. If you’re new to aromatherapy and essential oils, get yourself a simple essential oil diffuser set that comes with some of the essential oils you’ve seen in this post. Pick one of these seasonal blends to try out and let us know how it goes! You can hit us up with questions right here in the comments of this post, or send us an email at info@artnaturals.com. We may just read your question on our YouTube channel.